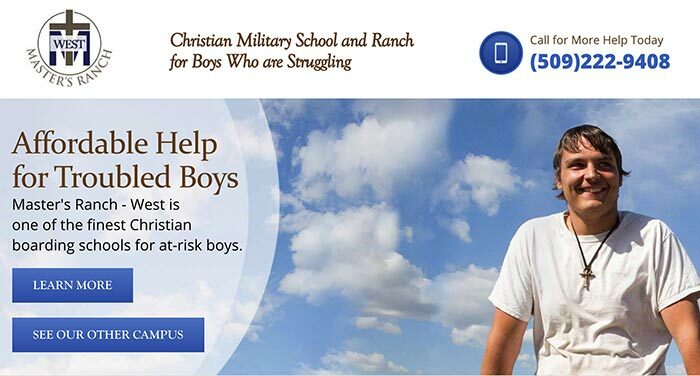 Testimonials of the Jubilee Christian boarding school for troubled boys – therapeutic boarding schools and behavioral health treatment centers. We are proud of the work that we have done for our many students over the years. We are also pleased with some of the kind words that they have given us. Here are some of the comments that we have received. This is a bit long, so please grab a cup of coffee or tea and relax 🙂 I’ll try to keep it brief. As you all know, we have been trying to figure out how Austin can get his high school diploma and not a GED. I had researched here at home what his options were and sent an email with questions and such. First when Miss Leann called and said I have an answer to all 5 of your questions. I was grinning from ear to ear. She said there is a way that Austin could get his high school diploma by returning to Jubilee. Miss Leann had told me that she would go over it with the team and get back to me. I had prayed for God’s will for Austin, and that I would support whatever decision he made being he was going to be 18 and Miss Leann said it was ultimately up to Austin. God is so Good and Faithful. 2 days later on May 1st, I get this great picture of Austin with a txt from Miss Leann, as she and Mr. Rick took Austin to dinner last week to discuss his future. Again I prayed for the both of you as well as Austin. Then we got the call from Austin on May 2nd. Austin was excited to tell us that he has a “PERMANENT PLAN” in motion for his future. He said he had went to dinner with Mr. Rick and Miss Leann and then met with all of you to discuss how he can get his high school diploma. He said he is now going to come home for the summer, complete his classes on APEX through Jubilee and then return to Jubilee in Sept to complete his Senior Project and get his high school diploma. He then said, that by doing this he will be able to receive a 10,000.00 scholarship per year for college. I said “honey I believe it is a onetime offer of the 10,000.00”. He said “that’s what I thought as well mom, but Mr. Rick and Miss Leann explained that it was per year of college”. I said, Calvin, is this true? Calvin said “yes mam we have had some students go on to get their Master’s degree through this scholarship. My heart was already overjoyed that Austin was excited about returning to Jubilee and getting his high school diploma. But then, when he completes all of this, he is able to get this very generous scholarship. God’s blessings just never end and they come in such mysterious ways. I look at where my son was a year ago, and now look at where he is today, (I know he’s not perfect LOL) and I think; can this be true? Someone just pinch me, so I know I’m not dreaming. I want to thank each and every one of you for taking such a strong interest in our son and the desire, time and patience to work with him each and every day and all the while showing him that he is loved and valued as a person. We are overwhelmed with how much you all love the Lord and all of these boys. When we first came to the decision to put Austin in boarding school, as you have heard from many parents, it was the most difficult decision we had made. Is this the right place, will he be safe, is this God’s will, will he be ok, will he hate and resent us, will he feel rejected, etc.? Many hours of prayer and research went into our finding Jubilee. I have talked with many parents during my search for a boarding school. I have heard all about the discipline, the accountability, the structure, the schooling, the success rates, etc. All of these are important and part of growing up in life. However, the thing I didn’t hear about, was how the staff at these facilities works with these kids out of a real love for God and love for these kids with a desire to truly make a difference in their lives. Not just while they are in school but by looking towards their future as well. I didn’t hear about staff taking the kids to church with them, or to dinner, and even to their own family outings. I didn’t hear about them embracing these kids as their own, and setting the example by living a Godly life. I didn’t hear about the kids doing community service and learning how to give back and to think of others. I didn’t hear about joy and laughter. They also didn’t seem to have a Joe & Camille and Miss Rose either. 🙂 Basically I didn’t hear or see Christ shining through the words I was hearing on the phone. All of you at Jubilee, are examples of what working through God and loving people really mean. And because of this, we have our son back. I pray for each of you every day for God to poor out His blessings on you, for continued strength and patience as you work to help each of the boys at your school. I pray that Austin will one day have a great desire to give back as he has been given to by all of you. I can’t wait to see what else God has planned for Austin’s life and how he will use Austin to His Glory. You never know, Austin could one day in his future be helping the boys at Jubilee, as you have all set such an awesome example for him. Don’t faint Calvin, it could happen. LOL. If I have missed anyone on this e-mail, please forward it to them as we want them to know they are appreciated. I didn’t have any of the dorm staff as well as others e-mails. – One Super Thankful Mom! I arrived at JLA in Jan. of 2014. I came from a nice neighborhood in Huntington Beach, California where I lived with my father, mother and 3 brothers. While I was at home, I was making some major mistakes. I had taken family member’s cars without permission; I smoked pot and would drink alcohol with friends socially. I was doing poorly in school due to struggling with ADHD. I was also being rebellious towards my parents and family. My parents were very worried and upset by my behavior. They tried everything they knew to do and were lost and didn’t know what to do. My older brother was aware of my actions and tried to help but it was not enough. My behavior was affecting the entire family. Even my little brother was aware of my poor choices. One Saturday morning, I woke up and went to play basketball with my father. Later that day, my dad told me that both sets of my grandparents were going to come over the house. After the family came to the house they informed me that I was going to go to a boarding school in Washington that is designed to help kids that are having a hard time. My initial feeling was that of abandonment but I never shared that with my family. I agreed to go because I knew that I needed help and that I couldn’t do it in my current environment. When I arrived in WA, I was met at the airport by a JLA staff member named Nathan and two other JLA students. We drove to JLA. It was nighttime when we arrived. We stayed in the guesthouse for the night. I was nervous, but meeting the other students eased my nerves a bit. The next day, we went to the cafeteria. We ate breakfast and then went to meet with Mrs. Leann. We received an overview of the program and completed some paperwork. It was all a bit emotional for me and my dad. We then received a student-led tour from a student named Mark. After I arrived to JLA, I continued to struggle with school. JLA did not give up on me. I continued to do my best, but it was not enough. The staff at JLA, Mr. Rick and Mrs. Sherri, offered me additional support and 1 on 1 attention as needed. I felt like counseling was not for me, so I worked with Marcus informally until I felt comfortable. Now, I get counseling services from JLA Clinical Director Mr. Todd. I feel like with the help from JLA, my relationship with my family has improved greatly. I have matured and have plans to leave the program soon. I have the support of the community and am on track to graduate high school on time with my class. I have dreams and aspirations of joining the military and then becoming a police officer. My stay at JLA has not been perfect; matter of fact, there has been times when it has been extremely hard. It is hard to be away from my family and friends. It is hard to come out to a place where there is limited cellphone coverage and little access to social media. But I know, that JLA was the place that I needed to find my new beginning. JLA was a place that provided me with safety and support. I don’t think my life will be perfect after JLA, but now, I have goals and those goals are within my reach! I have formed lifelong relationships with my support team at JLA and know that when life gets hard, I have people that I can turn to that will help me. This letter is both a sincere “Thank You” and “Encouragement”. What you are doing really matters. Your effort is very important. Each young man and the family connected to that young man are worth going to bat for. #1. Gratitude. Gratitude and appreciation open the door to connecting with each other. It is easy when things are challenging to lose sight of a grateful spirit and appreciative words. The process that I have been involved in with my son at Jubilee Leadership Academy has increased my own sense of gratitude and appreciation for everyone around me. I ask God to help me listen, to help me understand what he needs me to understand. As a result, my contribution to their relationship in my life is getting better. #3. Focus on what works. As a Dad, I have the tendency to hold ideals and expectations in my mind that may or may not be realistic for my children. When I am really honest about the whole thing, I think the ideals and expectations have more to do with how I want things to look and turn out. In my journey with Jubilee Leadership Academy I have come to appreciate the need to adjust “how I want things to look” and focus on a much more practical question, “What is going to work for everyone involved here?” What would be a “win” that everyone can participate in? I still have strong desires for each of my children. I pray that each one will have a desire and drive to love God with everything they’ve got and to care for people in the same way. I want them to make a difference in this world by the way they live and do life. With that in mind, I am focusing on what works for each of my children, and spending time supporting them in the things that work for them. This has been very freeing for me. One of the benefits of this for me is that I trust God more, I trust my children more, and I have a bit more peace in my life. #4. There is nothing stronger that honest love. I have learned much about the strength of honest love these past few years. In the moment, it doesn’t seem to “fix anything” and yet overtime, it gives the context to address everything. Think of it like getting oriented right for a big hike. If “true north” is honest love and I set my compass by honest love, I will have accurate readings to walk through this life. However, if I set my compass by other things life fear, control, or anger, I will not have accurate readings and my orientation will be wrong. It gives understanding to the words of the bible that say perfect love casts out fear. The only thing strong enough to deal with fear and control is God’s honest love. #5. Courage. My son’s story is not mine to tell. I respect him way too much to tell his story as if it were my own. But what I can tell you is that he has shown me great courage in his life. Adoption is not an easy road. A child is taken away from everything familiar because something difficult has happened. There is abrupt separation from culture, language, relatives, friends, and familiar places. There is a whole new set of people, language, relatives and new places to become familiar with. Along with that come new expectations and standards that are often very different. I have come to a very deep level of respect for each of my adopted children’s journey. The amount of courage that is required to walk through life is significant. My son has had to deal with more change in his young years than I have had to in a lifetime. In my walk with him through Jubilee Leadership Academy I have developed the deepest respect for his courage and his commitment to keep moving forward with his life in a positive way. In closing, I want to give God praise. I want to thank Jubilee Leadership Academy for investing deeply in the life of my son. I want to thank my son for the great effort and good choices he is putting into all of this. I have been learning much. What you are doing really matters. P.S. You are welcome to share this as you see fit. Hi, my name is Brendyn Estolas and I am currently 19 years old attending Monterey Peninsula College. I went to Jubilee Leadership Academy from August 2012 to November 2013. The experience I had at Jubilee was a once in a lifetime experience for me as it is an experience I will never forget! I believe the program itself has changed me forever in a positive way because after the program I had a completely different approach on life. I wanted to succeed for myself and the motivation of doing well in life really helped me move forward. The first day of my 15 month experience was an extremely tiring and long day for me. Travel time took nearly 14 hours and I think my first day everyone was sent to their rooms for bad behavior! At first, I had no idea what was going on and I figured I had to come up with a plan to leave as soon as possible. When I started learning and understanding what the important components of the program had to offer, I quickly got on top of it. Although I was a struggling student like many others when they first arrive, I figured out how to be successful and managed to graduate from Jubilee Leadership Academy and earn the Vista Hermosa Foundation Scholarship which I am ever so grateful for helping me achieve a higher level of education. I can tell you that without the support of some staff members at Jubilee, I do believe that my journey and experience at the school could have turned out much worse than it did so I am thankful to every staff member who did in fact take time out of their day to either talk to me or give me advice or words of wisdom to get through the day. I believe that all the staff on board are chosen to not only watch and take care of the students, but to listen and talk to them when they are having problems and having a hard time being away from their friends and family back at home. I could talk about so many different experiences I had at Jubilee because honestly, every day was a new experience! From the time I arrived at Jubilee on August 6, 2012, to the time I left on November 13, 2013, I learned so many new things and met so many students who I can call friends and still keep in contact with all the time. My first work crew was Horsemanship and this is where you move pipeline back and forth to maintain the water lines and tend to the horses as needed. Eventually I was able to choose my own work crew and I chose Mr. Al’s grounds crew. Mr. Al was one of the greatest staff members I met because he truly cared about every student and wanted each one of them to succeed in life. Mr. Al was extremely helpful to me because he listened to the problems I had and when no one else would take me in to their work crew, Mr. Al would take me in no questions asked. I loved driving the gator because it relieved some stress for me and I felt like I had a small amount of power! When I managed to come up with a plan to finally leave Jubilee, I buckled down and started doing all day school. I came to Jubilee during the beginning of my sophomore year and graduated High School 7 months before my class of 2014 due to hard work and high percentages of work completion. Sometimes, it became a competition for me with other students to see how much percent we could really achieve for the week. Several other students during my time along with many other deserving students, have also gotten the Vista Hermosa Foundation Scholarship which I hope is helping them as much as it has helped me. Should you need help finding alternative schools, schools for troubled teens, alternative schools, boarding schools therapeutic, schools for troubled teens or reform schools, please let us know. When looking into boarding schools for troubled teenage boys, it is important to know the distinction between all the different types of programs. Probably the most common of these alternative schools are the therapeutic boarding schools. 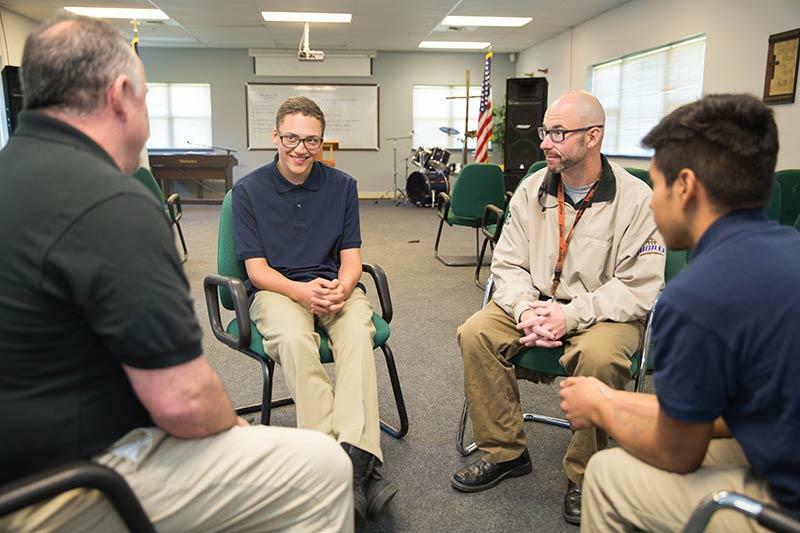 Specifically designed for at-risk teens, therapeutic boarding schools for boys combine therapy with academics to help kids get back on track. Therapeutic boarding school can also be Christian boarding schools where. students receive therapy and education from a faith-based perspective. This boarding school for boys is a tightly structured, highly active environments best for instilling discipline and improving organizational skills. Low Cost Christian boarding schools like Jubilee helping at-risk troubled teen boys. Jubilee’s therapeutic residential school helps rebellious boys who are at risk and defiant or out of control. Designed for troubled teenage boys Jubilee helps solve behavioral disorders in boys with ADHD, boys with ODD – Oppositional Defiant Disorder, Attention Deficit Disorder, and teens who are misbehaving. Compare our affordable boarding school for boys to other therapeutic programs and other residential schools for troubled teens and you will see that we are far less costly. Jubilee serves boys mostly from California, Washington State, Idaho, Nevada, Utah, Oregon, Arizona, Montana, and Colorado.